All around the world a new generation of Asian entrepreneurs, especially those coming from China, is snapping up artworks created by the biggest names in the contemporary art. This comes as no surprise as there is now almost a million millionaires and more than a hundred billionaires in Asia, who are amassing the riches within major private and museum collections as we speak. In 2014, Asian super-collectors once again made a big impression at auctions worldwide, most notably Wang Zhongjun, who paid mind-melting $61.8 million for a Van Gogh piece, and Liu Yiqian, who stirred the international art market when he paid $36 million for an antique chicken bowl and then drank from it. Today we are talking big and what follows is our selection of ten notable art collectors and new art patrons coming from Qatar, Indonesia, South Korea, China and Japan. 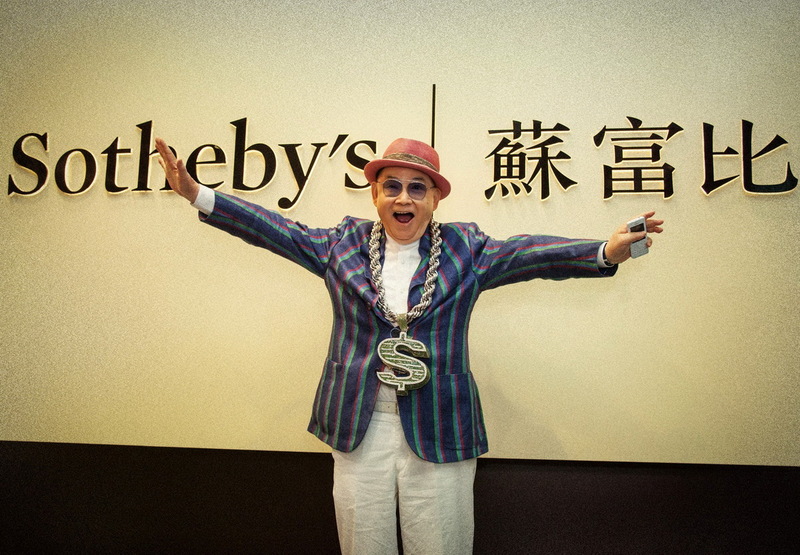 Robert Chang is a famous businessman and legendary art collector and dealer from Shanghai, a pioneer among Chinese art dealers, with enormous reputation and respect in the profession. At the age of 88, and forever young at heart, Chang continues to be one of the most influential and highly respected figures in the world of Chinese art, who has been widely revered as a key figure in the Hong Kong art market in the last half century, during which he amassed an unrivaled personal art collection which was published and exhibited in its entirety at Christie’s London in 1993. Undoubtedly, Robert was a witness of the development of Chinese auction and a motivation for Christie’s and Sotheby’s early successes in Hong Kong. He did so much business with Sotheby’s that they gave him an auction paddle Number One which he still uses today. 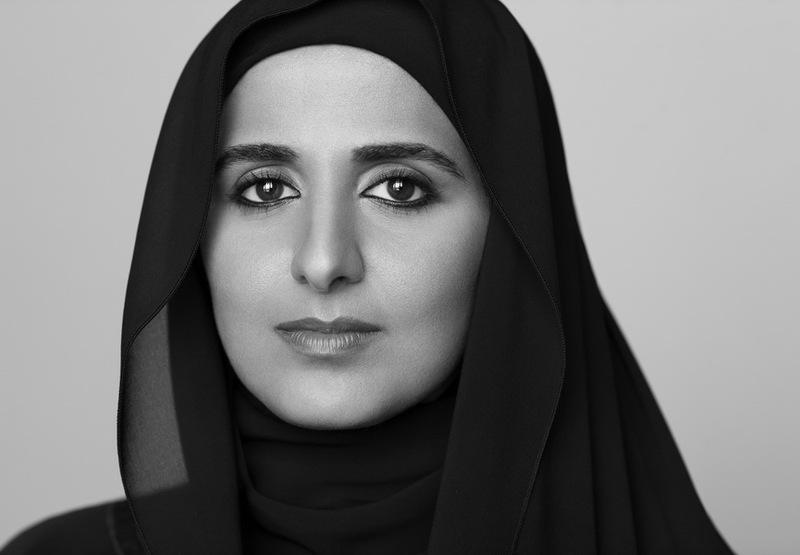 Her excellency Sheikha Al-Mayassa bint Hamad bin Khalifa Al-Thani, daughter of the former emir of Qatar and sister of the country’s current emir, is the tour de force behind Qatar’s mission to become the foremost art destination in the Middle East. In 2014 Time magazine named her one of the 100 most influential people in the world, while Forbes ranked her as one of the world’s 100 most powerful women. Lately, it has been reported that Sheikha Al-Mayassa’a mind-boggling art acquisition budget on behalf of Qatar Museums is conservatively estimated at $1 billion annually. 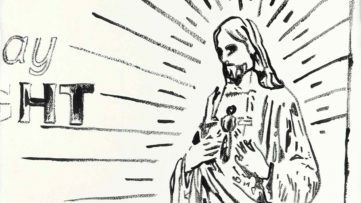 Acquisitions include, among many Warhols, Lichtensteins, Bacons and Hirsts, a world record £160 millions for Paul Cezanne’s The Card Players and a reported total of staggering $310 millions for eleven Rothkos. In 2013, Sheikha’s extraordinary spending on contemporary art, which was more than Tate and MoMA spent that year, took her to the top of ArtReview’s annual Power 100 list of the contemporary artworld’s most powerful figures. Liu Yiqian and his wife Wang Wei are among the China’s most successful art collectors and private museum owners. Both came from modest, working class families, but Liu, dubbed the eccentric Mr. Liu by the Chinese media for his casual style, made an enormous fortune, initially through making and selling handbags, and other lucrative investments, and today has an estimated net worth of $1 billion. The couple owns two museums, Long Museum and Long West Bund, which house their extraordinary holdings, which consist of traditional Chinese art (notably calligraphy), contemporary and modern Chinese art, as well as vast amounts of Chinese revolutionary art. When Beijing’s Poly Art Museum showed sixty of their Chinese paintings and calligraphy pieces in 2010, the amazing collection of works dating back to the Song dynasty was insured for a staggering $1,5 billion. Hong Ra-hee, wife of Lee Kun-hee, South Korean business magnate and the chairman of Samsung Group, is a prolific buyer of art, renowned philanthropist and director of Leeum Samsung Museum. With an estimated wealth of $1,4 billion. 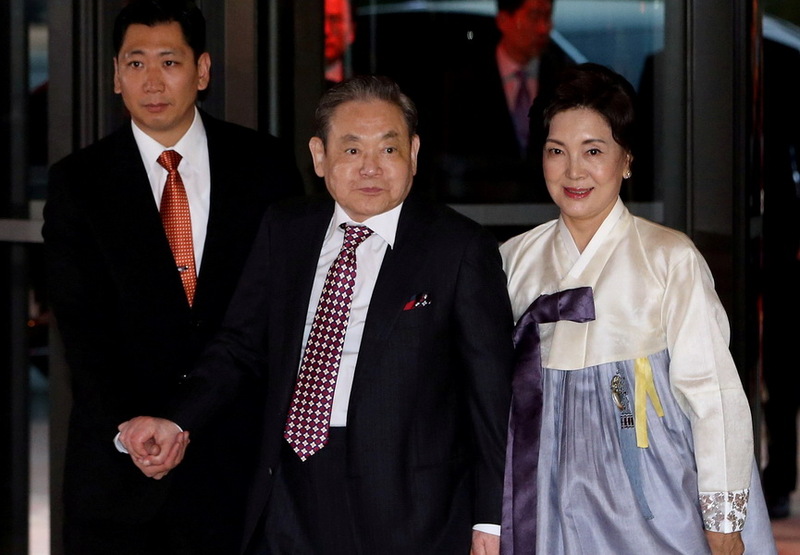 she is one of the richest people in South Korea and 974th on the list of World Billionaires. Hong Ra-hee majored in applied art at Seoul National University and gained experience as a museum art director of Ho-am Art Museum in Yongin. In 2004, she established the world famous Leeum Samsung Museum which reflects Hong’s exceptional taste in contemporary art. The museum has one of the largest collections of contemporary art in South Korea, and also houses a jaw-dropping treasure trove of ancient Korean art, including several national treasures. Soichiro Fukutake is the founder, director, and chairman of the Japanese renowned Benesse Corporation, company which consists of a publishing firm and a chain of juku schools, one of the largest educational service companies in the world, best known for its distance learning and test preparation schools that train children to pass entrance exams in order to get into prestigious schools and universities. 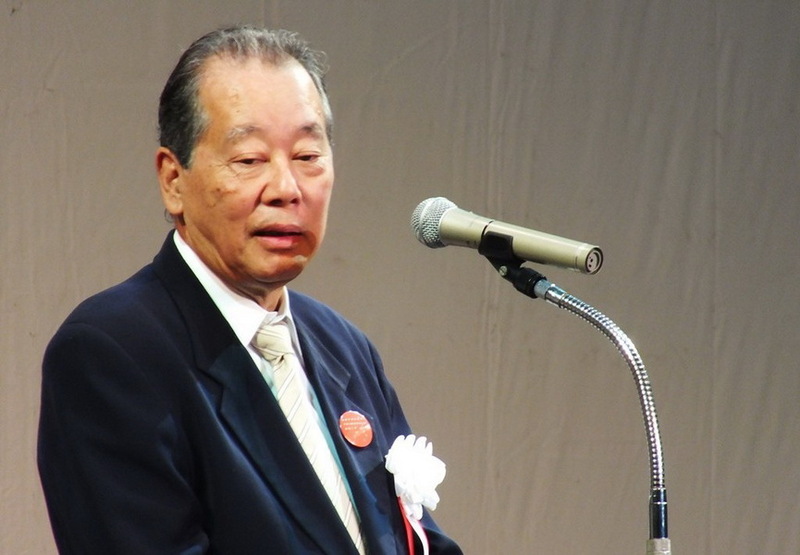 One of the world’s richest people, Fukutake’s net worth is estimated by Forbes to be around $1,3 billion, making him one of the richest persons in Japan and one of the thousand world billionaires. A modern art lover, known for his passionate patronage of the arts, Fukutake is also the head of a contemporary art museum Benesse Art Site Naoshima, located on a southern Japanese island facing Inland Sea of Japan, where his awesome collection of contemporary art is housed and enjoyed in a natural setting of mesmerizing beauty. 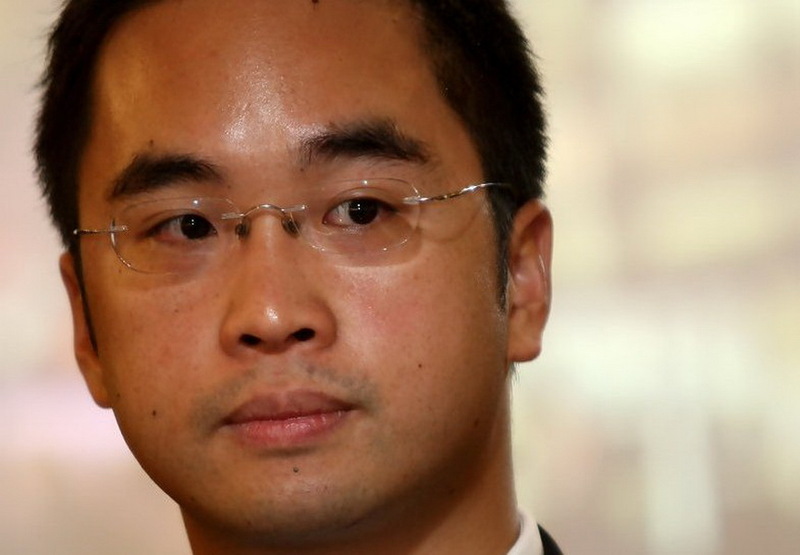 Hong Kong billionaire and entrepreneur Adrian Cheng, the 34-year-old scion of Hong Kong tycoon Cheng Yu-teng, is the executive director of the $25 billion empire, consisting of the world’s largest jewelry retailer Chow Tai Fook Jewellery Group, and New World Development, one of Asia’s leading property developers. 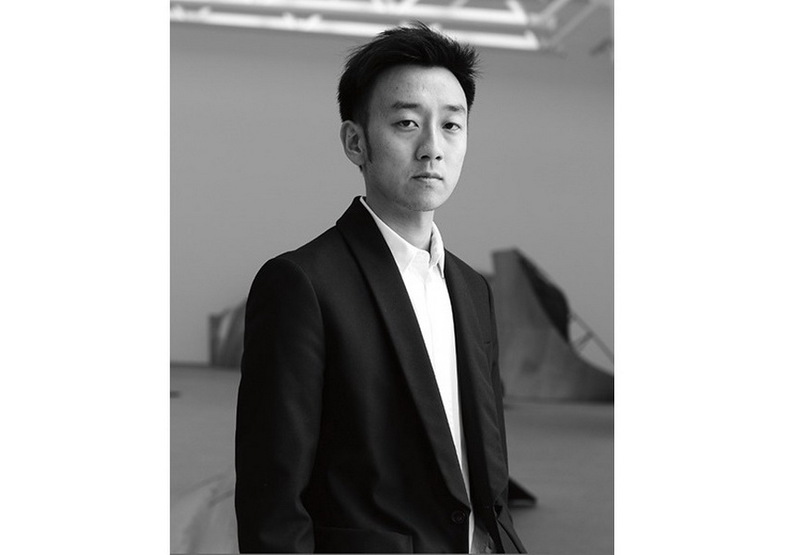 Ranked by Fortune as one of the world’s youngest billionaires, and a former Wall Street banker, who has worked with Goldman Sachs and UBS, Adrian Cheng is also a passionate art collector, head of K11 Art Foundation and a member of Tate’s Asia-Pacific Acquisitions Committee. Cheng’s non-profit K11 Art Foundation operates a residency program in Wuhan, China, and uses New World’s K11 Art Mall, cutting-edge art space in the basement of the K11 shopping development in Shanghai where it brings groundbreaking art to general public. Cheng has also built two art villages in smaller cities, organized artist residencies, and developed the foundation’s extraordinary collection of contemporary art. 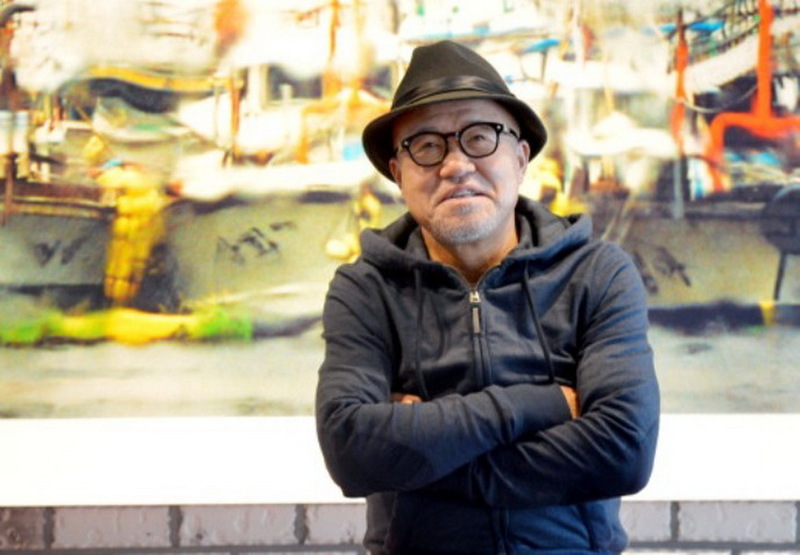 Kim Chang-il is a widely respected South Korean artist, gallery owner, self-made multimillionaire, and one of Asia’s biggest art collectors, ranking as a top art collector six times in ARTnews. 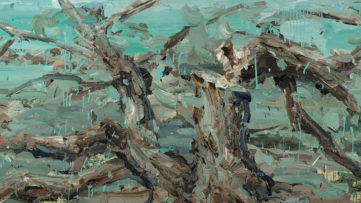 Along with his extremely successful commercial dealings over the last four decades, Kim Chang-il has consistently collected contemporary artworks, creating one of the largest contemporary art collections in the world, which today consists of well over 3,700 pieces, including works from Asian contemporaries as well as respected big-name artists from the West. Chang-il’s Seoul-based Arario Gallery is well known as one of South Korea’s most successful commercial galleries, while his newly established Arario Museum of contemporary art is focused on creating an innovative arts space for introducing both Korean and international contemporary artists to the Korean art public, through permanent collection shows and a rotation of contemporary exhibitions. 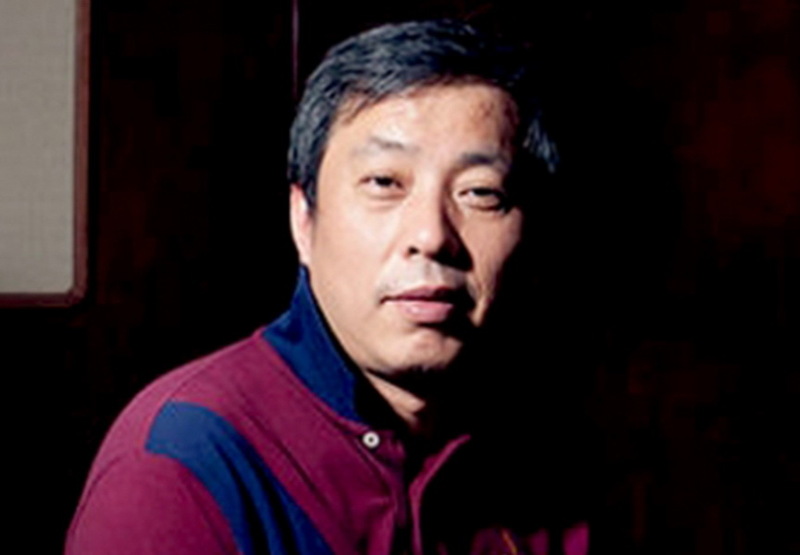 Wang Zhongjun is a famous Chinese movie mogul, the chairman of Huayi Brothers Media, one of China’s largest home-growth film production companies. The company also incorporates a record label and a talent agency which manages hundreds of Chinese A-List movie, music and TV celebrities. Being one of the China’s richest people, with his personal wealth estimated at almost $1 billion, Zhongjun is also one of his country’s biggest art collectors who has amassed an extensive collection of oil paintings and sculptures during the last two decades. 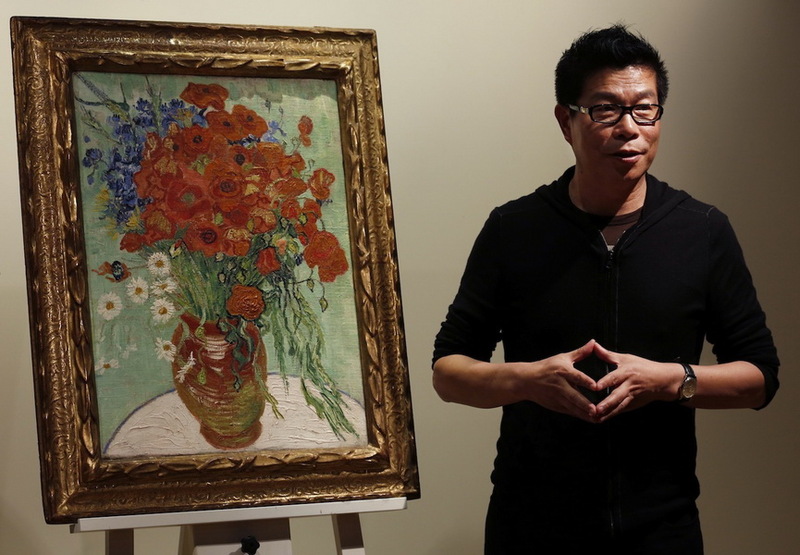 Last November at Sotheby’s New York auction, Wang Zhongjun bought Van Gogh’ most expensive still life painting titled Still Life, Vase with Daisies and Poppies, paying $61.8 million, the price which is believed to be the highest ever paid for a piece of Western art by a Chinese collector. 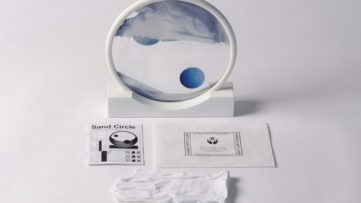 The piece is intended to be hanged in Zhongjun’s luxurious Hong Kong home, which he once dubbed as an art museum, as it houses dozens of expensive artworks. Chinese real estate developer Lu Jun, president of the Sifang Culture Group, and his son Lu Xun, are one of the China’s most famous art collectors and owners of private art museums. Established in 2013, the Sifang Art Museum, part of a a $164 million development with numerous buildings designed by leading international architects, is located on the outskirts of the historic Chinese city of Nanjing, an hour’s train ride from Shanghai. The museum houses Jun’s and Xun’s respectable collection which grew rapidly over the last five years, and now numbers more than 300 works by some of the most prominent contemporary artists from all around the world. The two Lus took a boutique approach to their museum, regularly commissioning new artworks, which are shown inside the museum, as well as on the grounds of the park surrounding it. The museum shows two exhibitions per year and also collaborates with contemporary artists for site-specific installations. Farming tycoon Budi Tek is a renowned Chinese-Indonesian art collector and founder of the non-profit Yuz Foundation, through which he took a role of an art patron by funding numerous art institutions and projects across Asia. Just a couple of years ago he was largely unknown in the international art market, suddenly entering the Art & Auction magazine’s top 10 list of most influential people in the art world in 2011. 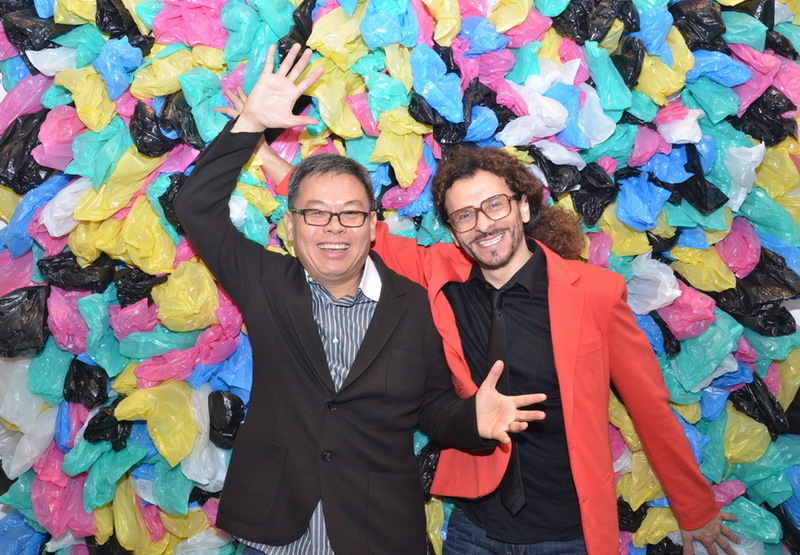 Budi Tek started collecting art some ten years ago and has since amassed more than 1,500 pieces of contemporary art, primarily focusing on works created by contemporary Chinese artists, including global stars like Ai Weiwei, Zhang Xiaogang and Fang Lijun, as well as emerging artists. He also owns a private Yuz Museum, with two branches located in Jakarta and Shanghai, which provide a cutting-edge platform for the promotion of both Asian and Western contemporary art.